Elon Musk shows off Boring Company’s first mile of test tunnel | Car News, Reviews, & Pricing for New & Used Cars. LOS ANGELES — Billionaire entrepreneur Elon Musk made a brief public appearance late on Tuesday to unveil the first tunnel completed by the underground transit venture he launched two years ago as an ambitious remedy to Los Angeles’ infamously heavy traffic. By comparison, he said, digging a mile of tunnel by “traditional” engineering methods costs up to $1 billion and takes three to six months to complete. 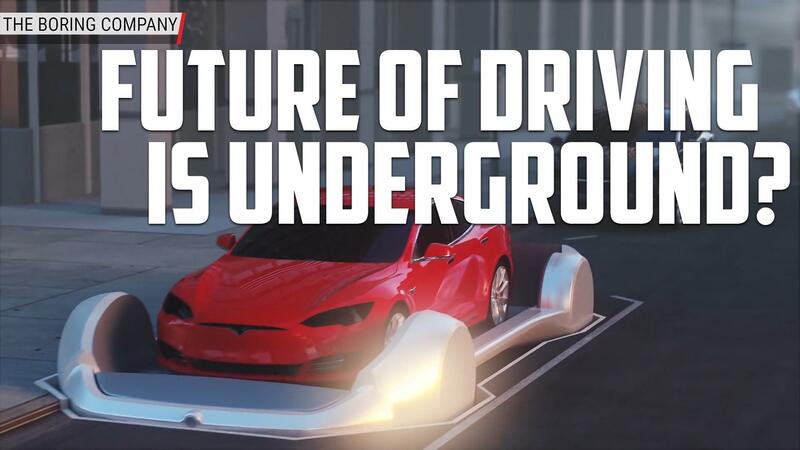 Musk boasted of several cost-cutting innovations, including higher-power boring machines, digging narrower tunnels, speeding up dirt removal, and simultaneous excavation and reinforcement. However, the process he describes is how modern tunnel boring machines work. And he rented his Canadian-built boring machine from a Wisconsin tunneling company. He’s using the Wisconsin company, Super Excavators, as consultants. Musk arrived at Tuesday night’s event in a Tesla vehicle so equipped, emerging from the car at one end of the tunnel — bathed in green and blue interior lights — as he was cheered by a small, enthusiastic crowd gathered for the presentation.